During the summer months in Morzine, you can cool off in the fantastic outdoor swimming pool in town. 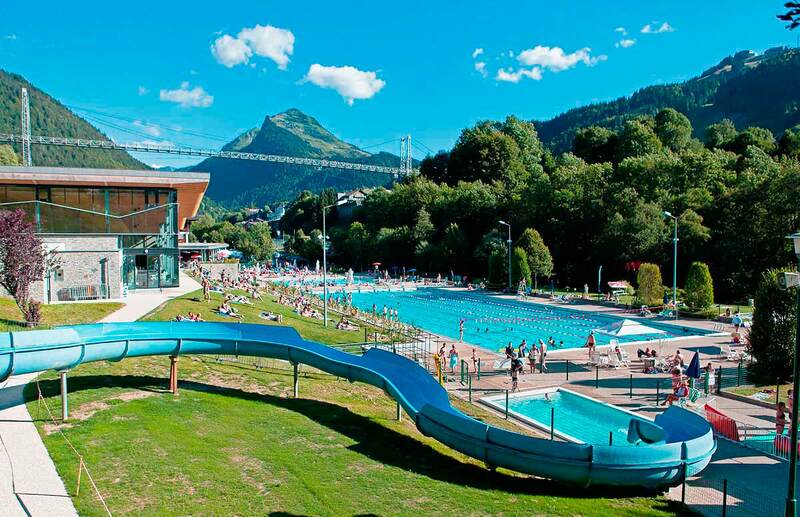 The outdoor olympic sized Morzine swimming pool is a great place to relax, sunbathe and cool off in the water. For swimming enthusiasts the 50m pool has lanes for serious swimming. There is also a 21m splash pool, a water slide and a paddling pool with jets and inflatables for younger children and babies. With sun loungers, parasols and shady areas, the Morzine swimming pool is a fun and safe area for all. In the same Morzine swimming pool complex, there is also beach volleyball, aqua aerobics, an introduction to scuba diving and other activities open to the public during the summer months.